The Carolina Hurricanes have made another huge trade to change up their core group of forwards, this time sending Victor Rask to the Minnesota Wild in exchange for Nino Niederreiter. Both teams have struggled to find a ton of offense from their groups over the last few seasons, leading them to try and shake things up with a move like this. At first blush, the deal seems to be a huge win for the Hurricanes given Rask’s incredible struggles this season. The 25-year old center has just six points in 26 games since returning from a freak hand injury in late November and has at times been relegated to fourth-line minutes in Carolina. That’s obviously not Rask’s ceiling, as he has twice previously recorded at least 45 points, but he wasn’t getting it done for the Hurricanes under Rod Brind’Amour and needed a fresh start elsewhere. That’ll come in Minnesota where it’s unclear if Rask will stay in the middle of the ice. 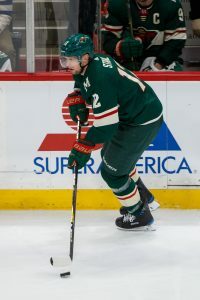 Charlie Coyle has been playing at the center position and finding great success, though he has plenty of experience on the wing where there is now a vacancy. Wild GM Paul Fenton had been clear that there were changes coming in Minnesota, and Niederreiter was one of the obvious candidates to be moved. In fact, the bruising winger played just 9:31 in his final game for Minnesota after being dropped to the fourth line almost immediately after starting the game. 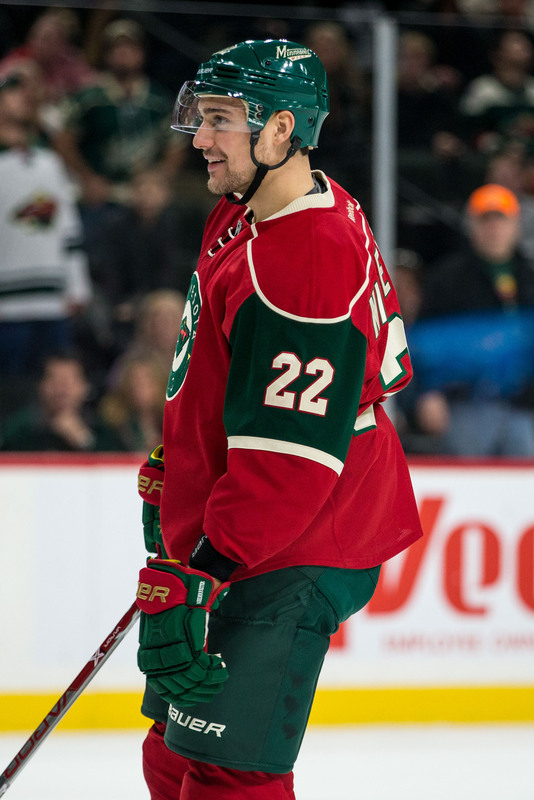 Ironically he scored in those limited minutes and was successful in the shootout win to notch two points for the Wild over the Los Angeles Kings Tuesday night. That goal was just Niederreiter’s sixth even-strength tally of the season, a huge problem for a player who has made a living recording 20-goal seasons in the past. That sort of production is exactly what the Hurricanes are looking for, and Carolina GM Don Waddell called him a “proven goal-scorer” in the accompanying press release. We wrote back in November how the Hurricanes needed help up front scoring goals, and that’s exactly what they’ll hope to accomplish with this addition. Niederreiter also fits right into the possession style that Carolina loves to employ, and is one of the better two-way wingers in the league. Still, the contract swap represents a $1.25MM increase for the Hurricanes through 2021-22 while Niederreiter immediately becomes the team’s highest-paid forward with Jordan Staal on injured reserve. He’ll be asked to do a lot in Carolina, and could even find himself on the top line in short order. If the 2019 NHL Trade Deadline is deep at any one type of player, it is power forward. As the February 25th deadline grows closer and teams begin to make tough decisions about who goes and who stays, it is becoming clear that many big, physical scoring forwards are about to be up for grabs before they hit free agency. Just this past week, it was reported that the Philadelphia Flyers’ Wayne Simmonds was likely to be moved and inferred that the Carolina Hurricanes and Micheal Ferland were unlikely to come to terms ahead of the deadline. And that’s just the beginning. Outside of the 6’2″ Simmonds and 220-lb. Ferland, there are plenty of other names out there that fit the power forward mold. Since this summer, the New York Rangers’ Kevin Hayes has been earmarked for a deadline trade. If they cannot agree to an extension, the Ottawa Senators may be forced to move star Mark Stone. Should the New York Islanders or Colorado Avalanche fall out of the playoff race, Brock Nelson and Colin Wilson – neither of whom look like long-term fits on their respective teams – should be on the block. To some surprise, Patrick Maroon’s time with his hometown St. Louis Blues appears to be already running out. Even role player power forwards like New Jersey’s Brian Boyle and Florida’s Troy Brouwer should draw interest. 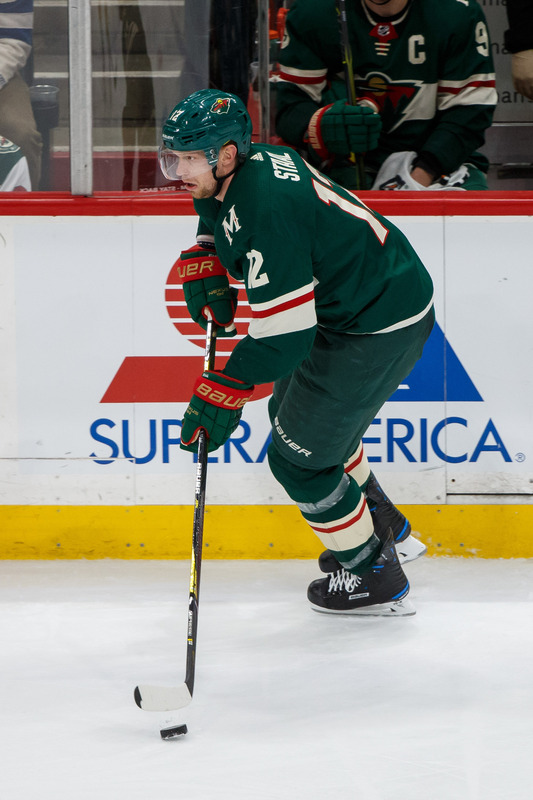 Many of these players feature on the trade bait lists from both The Athletic and TSN, as well as some non-UFA power forwards like the Blues’ Brayden Schenn, the Rangers’ Chris Kreider, the Wild’s Nino Niederreiter, and even young Jesse Puljujarvi of the Edmonton Oilers. While it may seem like too many names for too few teams – and it is a buyer’s market this year for sure – The Athletic’s Pierre LeBrun mentioned a number of suitors for a power forward who could make a move for one or more of these trade candidates in the coming weeks. At the top, LeBrun sees some of the biggest contenders as likely landing spots, naming the Tampa Bay Lightning, Nashville Predators, Winnipeg Jets, and Calgary Flames as good fits for Simmonds, Ferland, and the like. He also adds the Boston Bruins and Vegas Golden Knights into that group. Of course, the Bruins and Jets also have needs down the middle and could be more ideal fits for Hayes or Nelson, while the wingers would appeal more to Tampa Bay and Nashville. While LeBrun casts doubt on the Toronto Maple Leafs being interested, if an arms race begins the team could feel pressured to add to their forward corps as well. The Colorado Avalanche and Dallas Stars, both in need of secondary scoring, could also jump in on the action, while the Patric Hornqvist injury could prompt the Pittsburgh Penguins to make another move. With so many power forwards potentially available and prices expected to be low, it could be that the majority of playoff-bound teams decide to add a hired gun up front this season. You can never have too much size and grit in the postseason, not to mention scoring touch, and the 2019 deadline could be defined by many players possessing those exact traits heading to new teams. With plenty of talent available, one of the aforementioned players might just end up being the x-factor for the eventual Stanley Cup champions this year. With the recent re-signing of goaltender Pekka Rinne to a new extension with a no-movement clause, the Nashville Predators are likely to be heavily scouted over the next couple of years by the Seattle expansion team, who are expected to have their own expansion draft in 2020, assuming everything goes as planned. If that’s the case, then the Predators might be forced to expose young goaltender Juuse Saros in the expansion draft if they can’t convince Rinne to waive his NMC. In a mailbag series, The Athletic’s Adam Vingan (subscription required) writes that with the expansion rules expected to be the same as Vegas, the Predators will likely be expected to protect all four of their top defensemen (assuming Roman Josi agrees to an extension), which might limit the amount of forwards they can protect down the road, suggesting that Seattle will either get a top-rated goaltender (in Saros or a willing Rinne) or receive a top-end forward to jumpstart their new franchise. Chicago Blackhawks forward Brandon Saad has had a rough go of it this week in practice. He took a puck to the face in practice Wednesday that required a lengthy trip to the dentist, according to Scott Powers of The Athletic (subscription required). Now, Chicago Sun-Times’ Mark Lazerus reports that Saad then injured his arm in practice Friday, forcing him to miss today’s game and he is considered day-to-day for Monday’s game at Carolina.